Greetings from the SUNNY Tale Millers Cricket ground, never thought I’d be saying that ever again just a few weeks ago! Fittingly the season started on a damp chilly evening with a home game against the Broadclyst Pins. 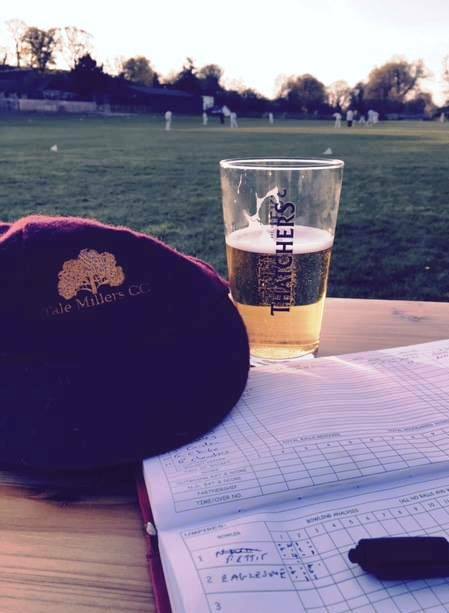 Due to the erratic nature of our scoring, I’m not completely convinced by the accuracy of my report but the Oppo batted first and posted a strong 112-8 with wickets for Steve Clegg, Jason Wood, and Neil Chambers. Will Wood will no doubt correct me if he feels hard done by. In response, we fell just short as the night drew in despite some good knocks from Mark “The Hammer” Hammett, Postie ( no, he’s never been a post man) and Kittow Jnr ( not as in very Junior Chester but as in Oli). Lost by three runs. Fortunately, social Member, Ian Scott then appeared in time to tow Oli’s van out of the mud, just one of the many benefits of Social Membership……….just TEN POUNDS for the entire summer! Next Up we entertained the coolly named Blacksmiths and Artizans, on another damp and chilly night. This time our fortunes improved to come away with a six wicket win, runs for Oli (who parked away from the wet spot), Jason Wood and Postie again and wickets for Jason, Will Wood, and Neil Chambers. B and A 83-8, Millers 85-4 . We then journeyed to County Hall in Exeter on a lovely sunny evening to take on the appropriately named Sunsets and with runs from debutants Barry Fulls and Sam Page and wickets for Neil Chambers and The Hammer Hammett came away victorious by nine wickets and with some very tasty pasties to feast on afterwards. 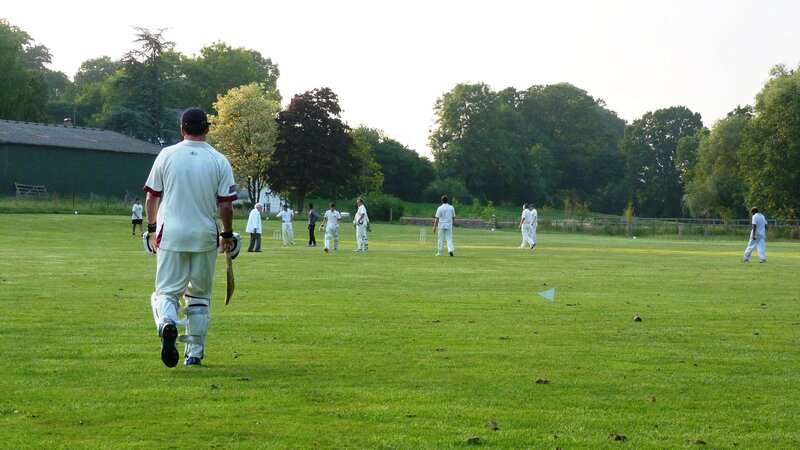 We are always keen to welcome new players ( and Umpires/Scorers) of whatever level and age from 13 upwards, just email me stay@tuckmill.co.uk if you’d like to get involved. Bar open, children and well behaved dogs welcome!